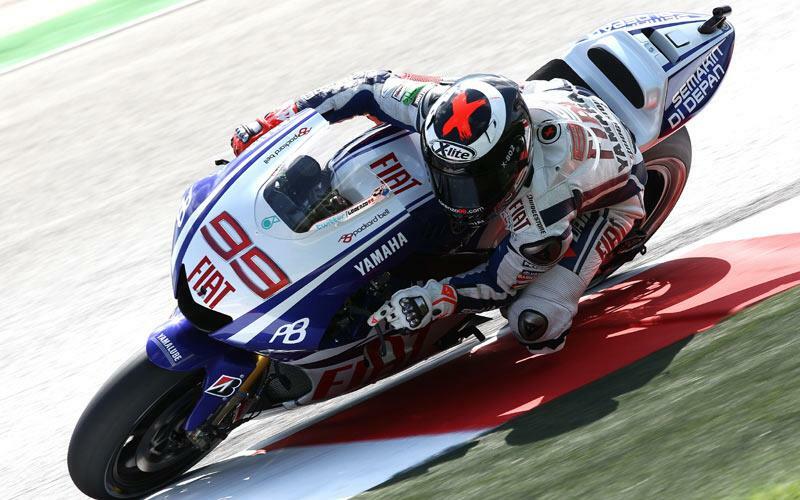 Jorge Lorenzo set himself up perfectly for the biggest race of his life tomorrow when he qualified in pole position for the Malaysian MotoGP. Needing only a top ten finish to become only the second Spanish rider in history to clinch the premier class world title, the 23-year-old snatched his first pole position since the Laguna Seca round in late July at Sepang earlier today. The Fiat Yamaha rider clocked a best time of 2.01.537 to deny Nicky Hayden a shock pole position and wrapping up the title now appears a mere formality for the double 250GP champion. Looking ahead to the most important 20-laps of his career tomorrow afternoon, Lorenzo said: “Time is coming and now I’m so close. It is going to be the most important race of my whole life and I am so proud and happy to get the pole position. "My riding level was very high during this weekend. I hope the weather respects us and we don’t have the rain and give us difficult conditions. We need to see what happens with the weather. It depends on me too. For sure I will feel the nerves and it is going to be different to other races. "But this situation I’ve lived before in the past with the 250 world titles. I know this is very important but we have to focus on making a good start and then to check the feeling of the bike. Lorenzo played down hopes that he could win the title from the front as he doubted whether he was fast enough to clinch an eighth victory and first since the Brno race in mid-August.